Velo themes has been purchased 26, rating: 4/5 based on 4 reviews. Velo is a Shopify template developed based on modern technologies such as CSS 3, HTML 5 and Sass CSS. This theme is beautiful and eye-catching. It is designed for bike shops. 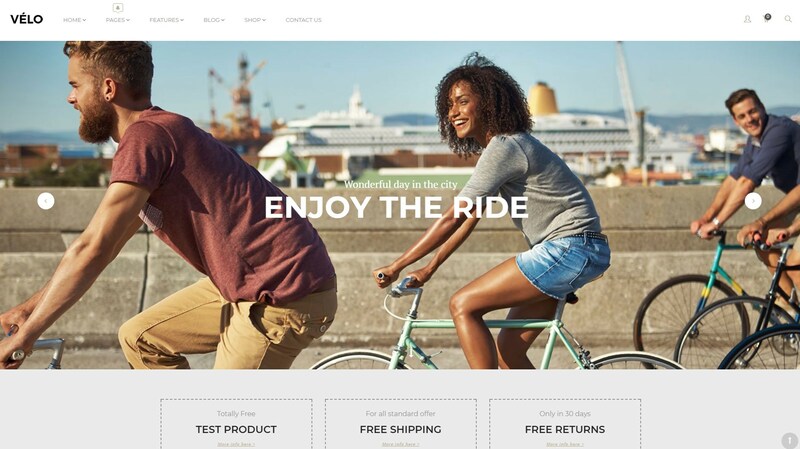 If you are wondering about choosing the most modern Shopify theme for your online store, Velo Shopify theme is a smart choice. Velo Shopify theme will make a difference to your store with your competitors and help increase your revenues significantly.